No time to make it to the gym? That’s no excuse for skipping your workout! 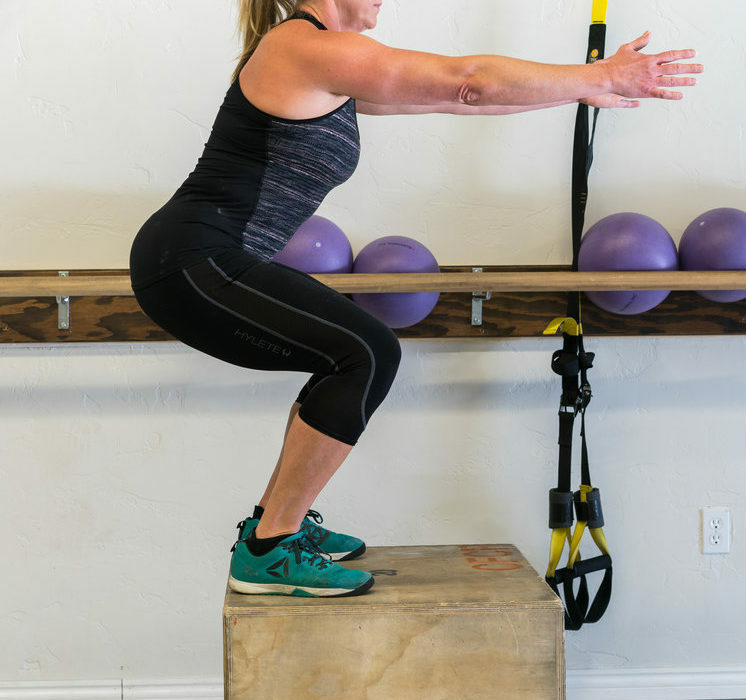 Julie Sneed, Crossfit Castle Rock Trainer and top international Crossfit competitor, shows us an intense 15-minute CrossFit workout so you can kick your own behind, even when you’re housebound. Use your own body weight, or grab items around the house for added intensity—cans of beans for hand weights, and a stair or a bench as a riser. Use just your own body weight, or grab a barbell, dumbbells or a few cans from the pantry. Each repetition begins with a full squat and ends with arms, legs and hips fully locked out. Find a solid surface anywhere between 10-20 inches tall, or even a stair case. Repetition can be done by: (1) stepping up and down on the surface; or (2) performing a two-footed jump, either stepping or jumping down. If stepping up, be sure to alternate which leg leads the movement. Repetitions can be done in a full plank position, from the knees, or even at an angle against the kitchen counter. The chest touches the ground on each movement and arms lock out at the top. Continue with AMRAP (as many reps as possible) in the 15-minute period, e.g., 3-6-9-12-15-18-21.